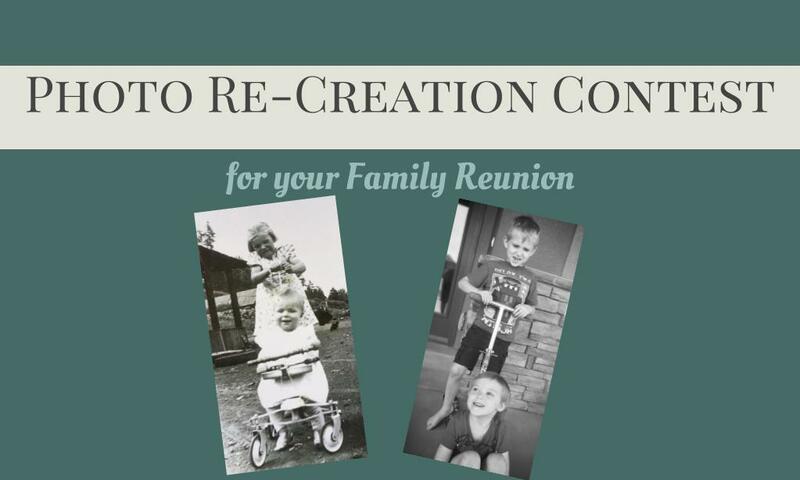 Throughout August, I am sharing fun family reunion ideas for all ages. So far, we have discussed using Google Slides to create a family reunion quiz, and an easy Look-Alike contest which can be played three different ways. This week, I want to share how to have a Photo Re-Creation Contest at your reunion. 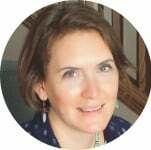 This activity encourages family members to come together to commemorate ancestors and have fun, too! Similar to the Look-Alike Contest, you will create a poster explaining the rules of the Photo Re-Creation Contest. 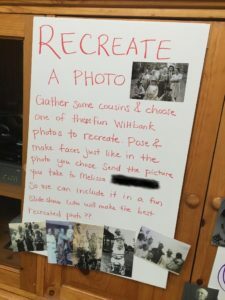 Place copies of several of the most interesting, funny, or unique ancestral group photos from your collection on the poster. 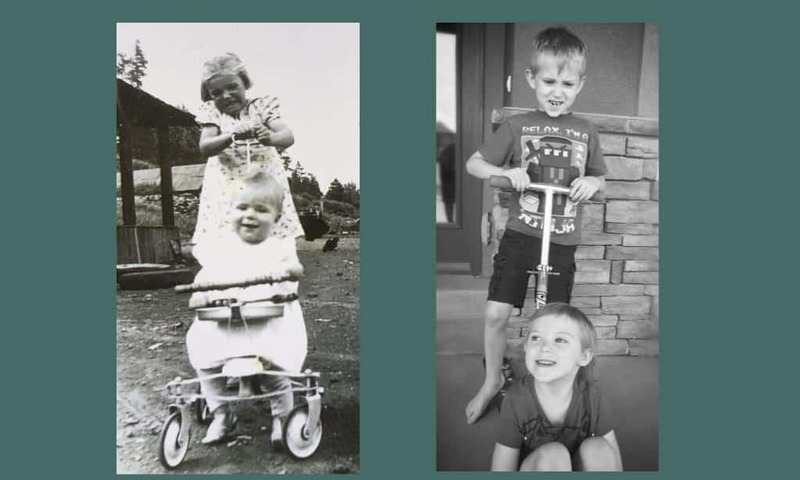 Unlike the Look-Alike Contest, the Photo Re-Creation Contest helps to get family members interacting with one another to re-create old group photos instead of individual ancestor photos. Gather the same number of people as the number in the photo. Each person chooses a person in the photo to “be”. 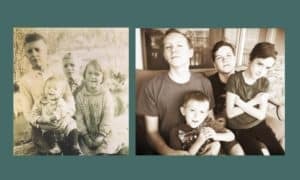 Family members then strike the same pose and make the same expression as the ancestors. Make it fun by exaggerating every detail in the photo. The youngest to oldest family member attending can participate in this contest, making it a great activity for everyone! The contest creator can have all the entries sent to them to create a slideshow. After all the entries are in, gather the family to vote on the contest and give out prizes. Below are some of our photo re-creations. Have fun at your next family reunion, or any family gathering by holding a Photo Re-Creation Contest! My husband and his siblings recreated a photo as a funny Christmas present for their parents last year. The original was taken when they were little kids in 80’s clothes. For the recreation they made as adults, they somehow managed to find very similar clothes in adult sizes. It really was hilarious. Great idea Melissa! We have a few that would be really fun to recreate. I think my favorite is from a camping trip. My mom took the photo of all five kiddos and my dad, in age order from biggest to smallest, my dad leaning against a huge pine tree with his elbow sticking out against the tree, then me with my elbow against him and down the line so we were all at a goofy angle. We love that photo. I need to find a copy…! If you recreate that, I would love to see it! Sounds like a gem.